AUCKLAND, New Zealand - Auckland City FC announced today the appointment of Central United's Aaron McFarland as coach of the club's National Youth League team for 2017. McFarland, who was co-coach of the Auckland City FC first team in 2011-12 alongside incumbent Ramon Tribulietx, took over the reigns at Central United for this season's Lotto NRFL Premier Division campaign. He was also a key figure with the New Zealand Football Ferns where he was assistant coach to Tony Readings for three years, a stint that included qualification for the 2016 Rio Olympics. Onehunga Sports' first team coach Hiroshi Miyazawa will also be McFarland’s assistant coach. Sports have enjoyed a superb winter campaign in both the Lotto NRFL and ISPS Handa Chatham Cup with a league and cup double still up for grabs. The 46-year-old boasts a solid J.League career as a player where he starred for JEF United,Bellmare Hiratsuka and Sanfrecce Hiroshima. Miyazawa played for New Zealand's first ever professional club - the now defunct Football Kingz - between 2001 and 2003. 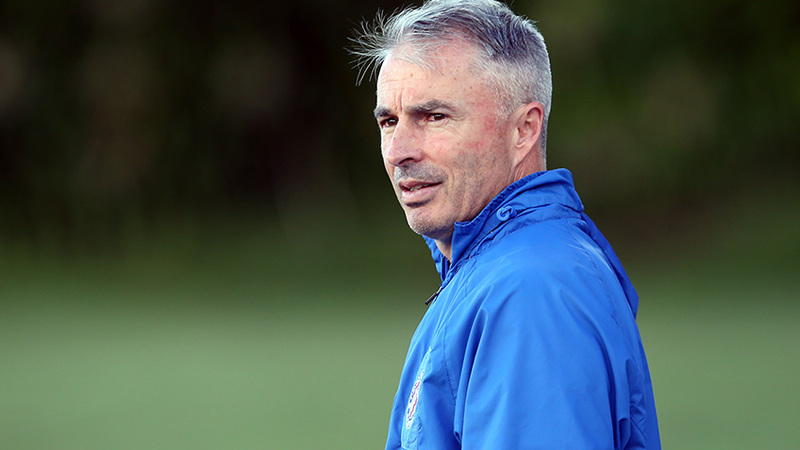 Auckland City FC chairman, Ivan Vuksich, said the pair have been developing throughout the coaching pathway and are coaches of the highest quality. Both have worked at either an international or professional level, and have now had considerable experience working with elite youth players. “We have been intent on not only developing a growing pool of talented players, but also a pool of talented coaches. It’s very satisfying to see Aaron and Hiroshi taking responsibility for the Junior Navy Blues this summer. “The group of players who will be involved with the Junior Navy Blues are players born in 1998 or later and we hope to see these players graduate from our ranks to the higher levels of the game and we believe these key appointments ensure there is a consistent pathway there for them," Vuksich said. McFarland takes over the role from Andy Peat who left the club at the tail-end of last season to take up a position with the Vancouver Whitecaps in Canada. Returning to the goalkeeper coach position is Matti Hamnett. Players to have graduated from the Junior Navy Blues ranks to top flight football include current All Whites striker Myer Bevan and South African age-group international Liam Jordan. Trials have been set for Wednesday 23 August. Players wishing to apply can complete an online form at this link. Applications close on Saturday 12 August.